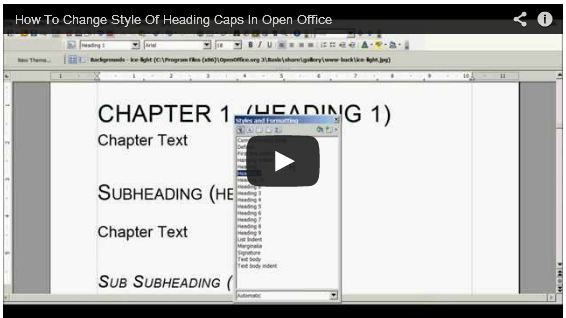 If you want to change the look of your headings then it is very easy to change the style whether you use Word or open office. I have created two videos showing you how to modify the headings with regards to having them as capitals or if you would prefer them without. When you write your kindle book it is always best to use headings (Heading 1, Heading 2, etc.) within your book because it makes it so much easier for you to create a table of contents automatically.